To put a spotlight on citizen inclusion and participation in creating and delivering (digital) public services, several international and local speakers were invited, and different workshops were offered, which were organised and facilitated by Jonas Breuer and Koen Vervoort (imec.LivingLabs). Attendees included representatives of different large public service providers such as the State Social Insurance Agency and the Office of Citizenship and Migration Affairs, ministries such as the Ministry of the Interior, other state institutions such as the State Chancellery and the Latvian School of Public Administration, as well as several non-for-profit organisations such as the Latvian Open Technology Association. 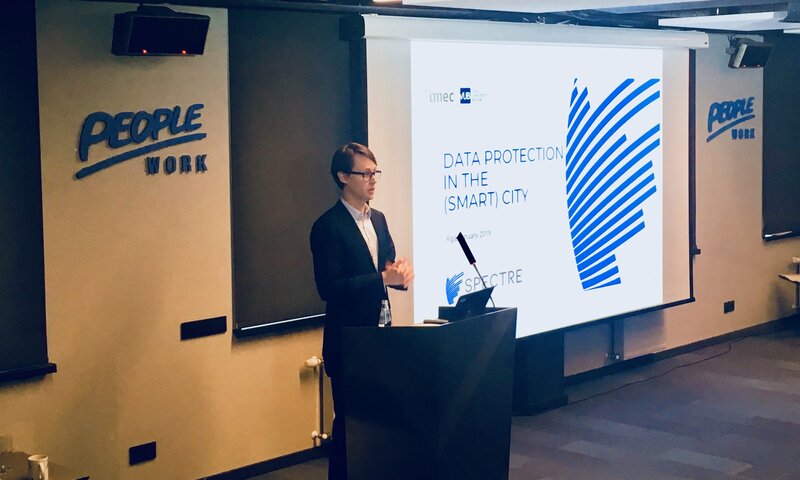 The main ideas of SPECTRE regarding the involvement and participation of citizens in creating citizen-friendly and privacy-compliant Smart Cities were presented from the perspective of Jonas Breuer’s PhD research. 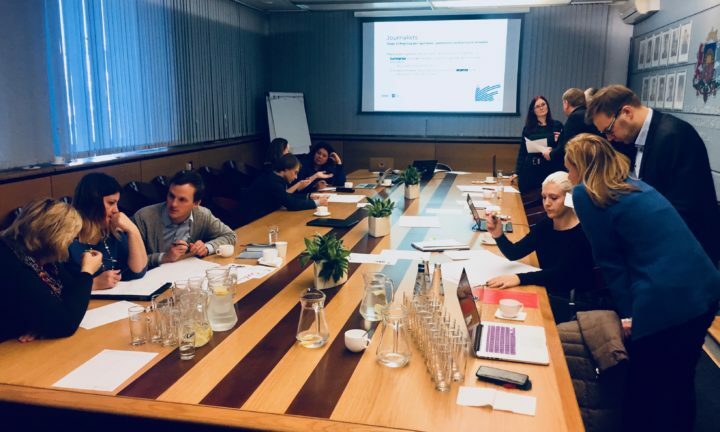 The importance of skills, capabilities and data protection literacy for all urban stakeholders were highlighted and linked to GDPR’s core principles of accountability, transparency, risk assessment and mitigation. 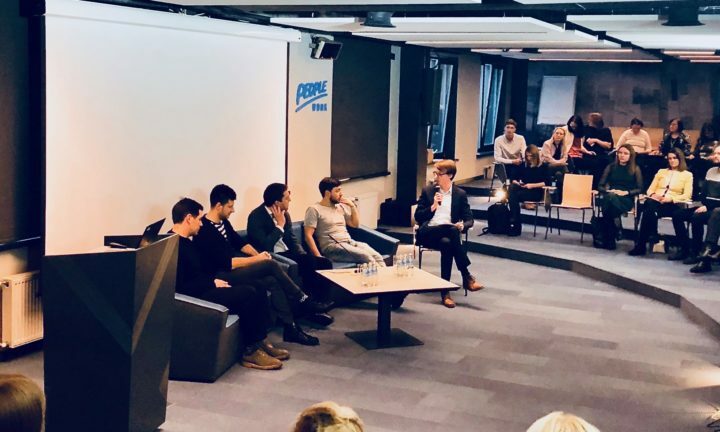 Further, the necessities of multidisciplinary cooperation to share knowledge and expertise were explained and it was discussed how SPECTRE intends to bring them together in the complex context of cities, public service delivery and the responsible public administrations. To dive further into the topic, a workshop was organised to learn from the Latvian public sector officials about their experiences, issues and ideas when it comes to data protection and citizen inclusion, and to demonstrate a simple but effective method for data protection, which is being developed within SPECTRE: data flow mapping. In addition, Jonas Breuer moderated the panel discussion and co-facilitated another workshop on co-creation methods & tools in general. Other presenters were Will Harmer (Service Designer at Government Digital Service, UK), Leire Orue-Echevarria (CITADEL project manager at Tecnalia, Spain), Koen Vervoort (User Engagement expert at imec.Livinglabs, Belgium), Vita Vodinska (Latvian State Chancellery), Raitis Linde (Lattelecom, Latvia), and Gundega Kuzmina (Central Statistical Bureau, Latvia). Each shared specific experiences in the context of involvement and participation of users and citizens in digital public services. The around 130 participants at the event were highly interested in the overall topic. They were open to discuss data protection and privacy, a topic which is often perceived as menacing or boring. Participants were attentive and active. Especially the data protection workshop and subsequent discussions generated great insights. Here, participants provided valuable feedback on the ideas and plans of SPECTRE, with a general consensus that they could be valuable but also with some degree of hesitance: can public sector officials achieve this by themselves and whether it is possible to integrate the citizen in this context. This validates some assumptions of SPECTRE. In addition, participants tested and validated the prototype method ‘Data Flow Mapping’. The immense interest and the feedback – both enthusiastic and hesitating – provides highly valuable input for SPECTRE at this early stage and provides us with additional motivation to achieve our ambitious goals.